Drum roll, please! 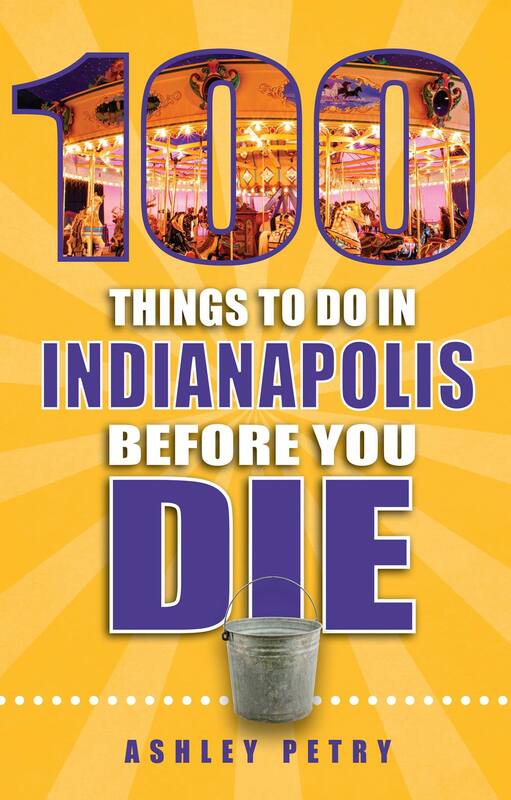 It’s time to reveal the book cover for my new Indy guidebook, “100 Things to Do in Indianapolis Before You Die.” Very exciting! The photo inside the “100” is the historic carousel at The Children’s Museum of Indianapolis. I’m thrilled, because riding that carousel is one of my favorite memories from childhood, and the museum’s “Carousel Wishes and Dreams” exhibit is still one of my favorite spots in the city. Plus, the carousel is colorful, dynamic and energetic — just like this amazing city. Stay tuned for more details about the book release. It’s coming in mid-April, but it’s available now for pre-order from booksellers like Amazon and Barnes & Noble.